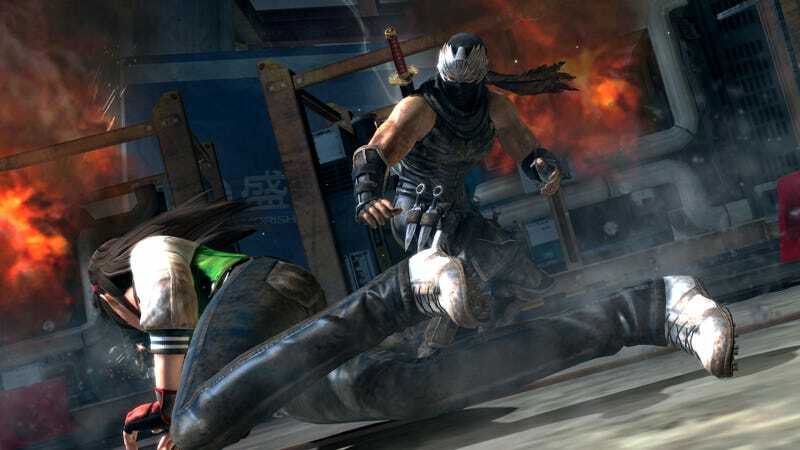 When I asked Team Ninja lead Yosuke Hayashi and Dead or Alive 5 director Yohei if they'd implemented any changes to the game specifically in anticipation of its reception by the fighting game community, they answered that that's not how they approach design. "We want to appeal to all levels of skill," said Shimbori. Right now, the dev team is working on game balance, he elaborated, to make DOA5 a fun game first. Shimbori mused that any adoption by the tournament scene comes later and emerges as a happy corollary to the enjoyment average players get. I also asked the Team Ninja developers what they think separates the competitive tournament player from someone who just plays titles like DOA just for laughs. "In a way, the pro player is there to show off," Yosuke replied. "His skill comes from a lot of practice and dedication and the best platform to demonstrate that is in competition. A casual player just wants to have fun, but the pro wants to win against other players like himself to prove his devotion. Sometimes, it's ego involved, too, because you want everyone to know how good you are."